A series of launch events for Vogue - Voice of a Century has kicked off in New York with a reception at the British Consul-General’s Residence, hosted by British Vogue editor Alexandra Shulman and British Consul-General, Antonia Romeo. Those who attended included Jerry Hall and Rupert Murdoch; designers Tory Burch and Jenny Packham; fashion journalist Suzy Menkes; hotelier and blogger Alice Naylor-Layland and TV presenter and model Alexa Chung. Jerry Hall is one of the book’s 100 contributors who have provided original text and last night provided a first glimpse of her words next to photos of her taken by Norman Parkinson in the Seventies. Upcoming events are to be held during London and Milan Fashion Weeks – check back for regular updates. 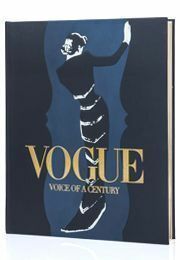 To find out more or to order Vogue - Voice of a Century, click here.